Cobalt's world suddenly turned upsidedown as his body acted on reflex, jumping backward into a handspring to avoid the wave of pink passing by his left. As he gracefully landed back on his legs with attunement to an acrobat, he stared his opponent dead in the eye. Gallades were incredibly honourable when it came to a fight, but the trainer behind it seemed to instill a sense of desperation in it as it fought. 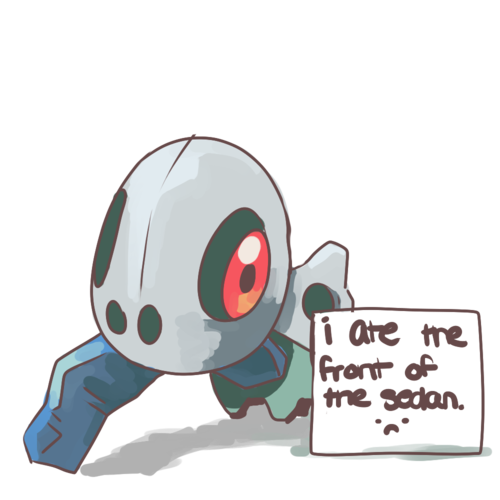 "ONE MORE TIME GALLADE! PSYCHO CUT!" Once more did Cobalt move like the wind, letting the next slash of pink energy cut the grass behind him. A shame he couldn't admire the scenery, but he had a fight to attend to. “Who are you to judge the life I have? Is cool, I've exams in the meantime!